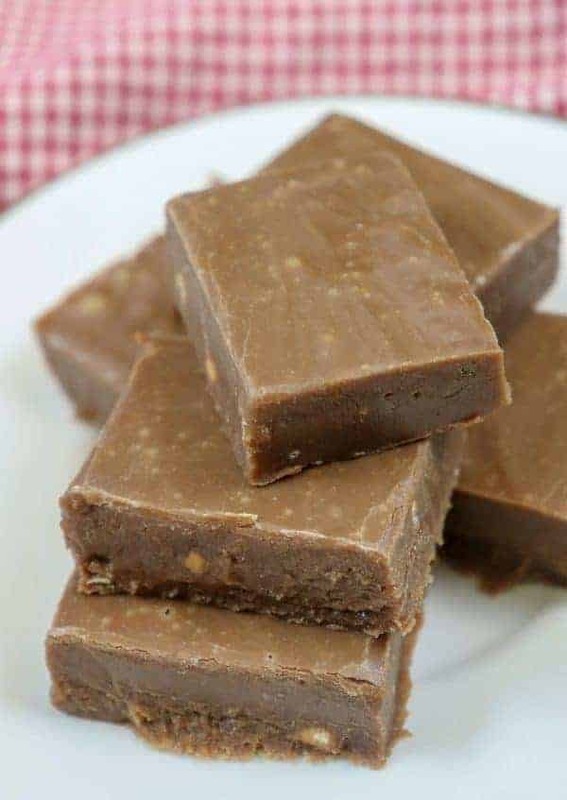 Crunchy Peanut Butter Fudge is a traditional fudge recipe. It’s easy to make and pretty addictive. This is one of the best fudge recipes you will find. The peanut butter crunch is surrounded by creamy soft fudge and is sure to be a hit around the holidays or any time of year. This is the time of year to be making a lot of fudge. It’s delicious, it’s easy to make, and it pretty much makes everyone happy. Just say the word and people come-a-runnin’. For years, I have taken fudge to the kids’ school and the ladies up front looooooved it. Trust me, if you take someone fudge, you’ve got a friend for life. I kid you not. There are a lot of ways to make peanut butter fudge. And this is an easy recipe to make. You don’t need a lot of ingredients, or time, to have it ready and prepped to take for gifts (or eat yourself). My biggest issue is trying not to eat it. 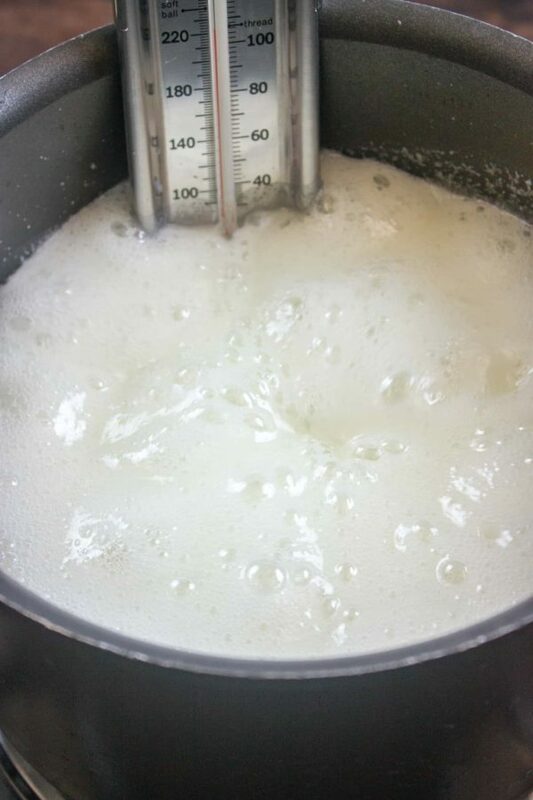 Add the sugar and milk to a saucepan. Bring it to a boil and remove from the heat when the thermometer reaches 232-degrees. Add the mini marshmallows and mix until melted. Add the vanilla and crunchy peanut butter. Mix well and pour into a greased 8″ x 8″ casserole dish. Allow to set up for a couple of hours. Start by adding the sugar to a saucepan. Add the milk to the saucepan and mix it together. Most fudge calls for evaporated milk, but this recipe only needs 2% milk. Boil the fudge until it reaches 232-degrees. Don’t get sidetracked at this stage of the recipe (speaking from experience). 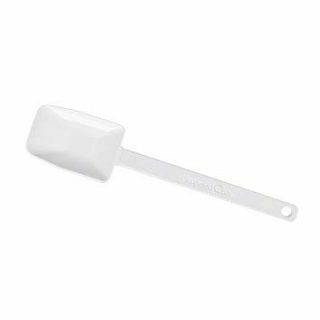 The milk can easily boil over and you’ve got a sticky mess. If it seems like the mixture is going to boil over turn the burner down a tad. You can rely on keeping time, but using a thermometer is going to work better with this recipe. Typically, fudge is cooked until the soft ball stage, which is 234-degrees. 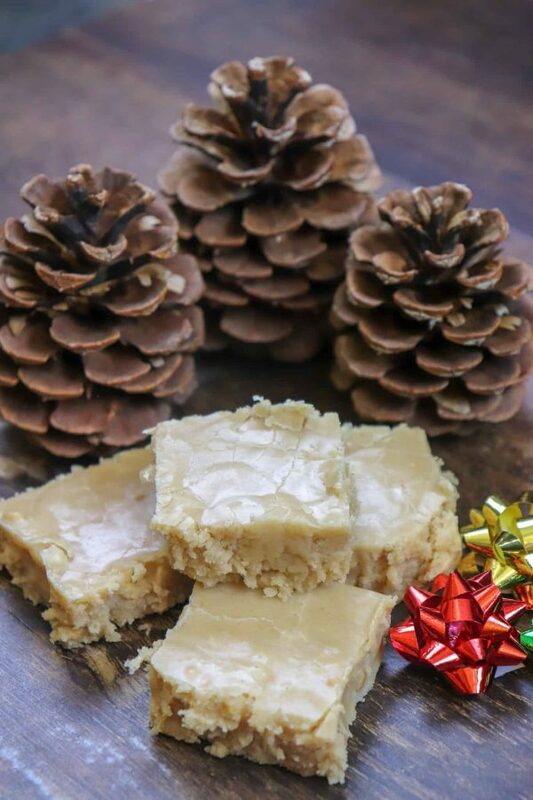 The first time I made this fudge I brought it a little above the soft ball stage and it became super crumbly. So, only cook it until it gets just below soft ball stage – 232-degrees. 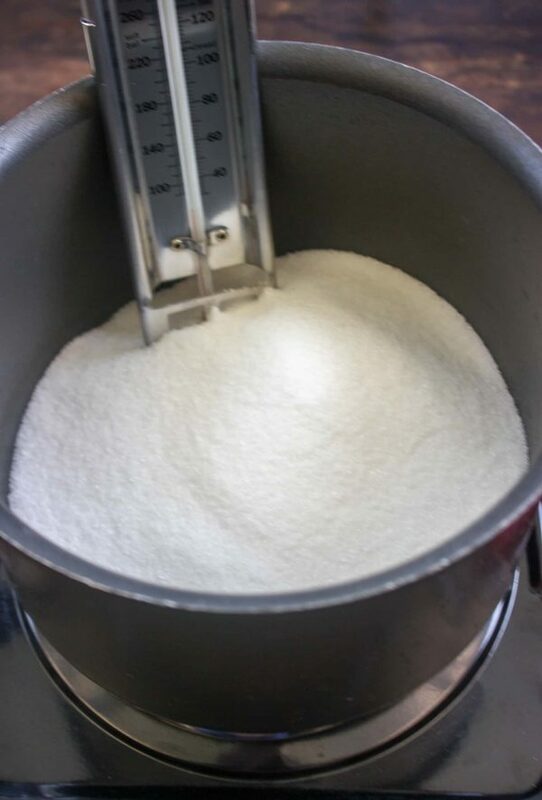 Once the sugar and milk reach 232-degrees, remove it from the heat. 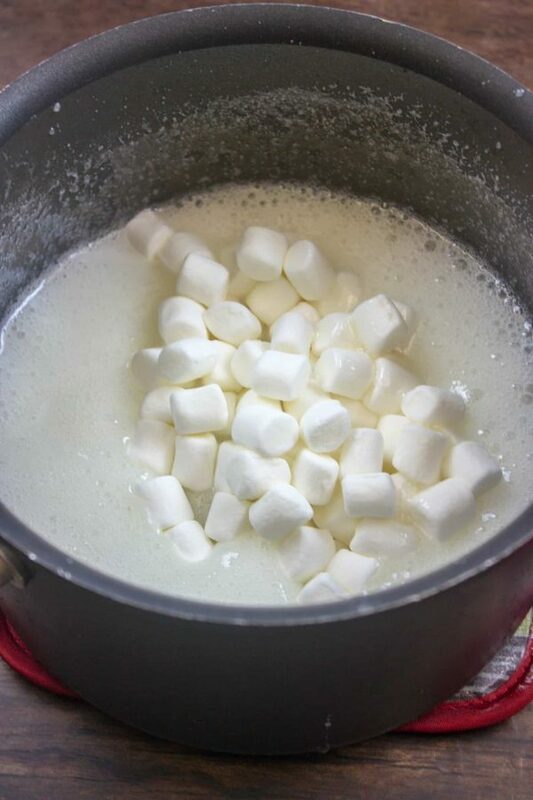 Next, add the mini marshmallows and stir until they are completely melted. Add the vanilla (forgot to take a picture of that). 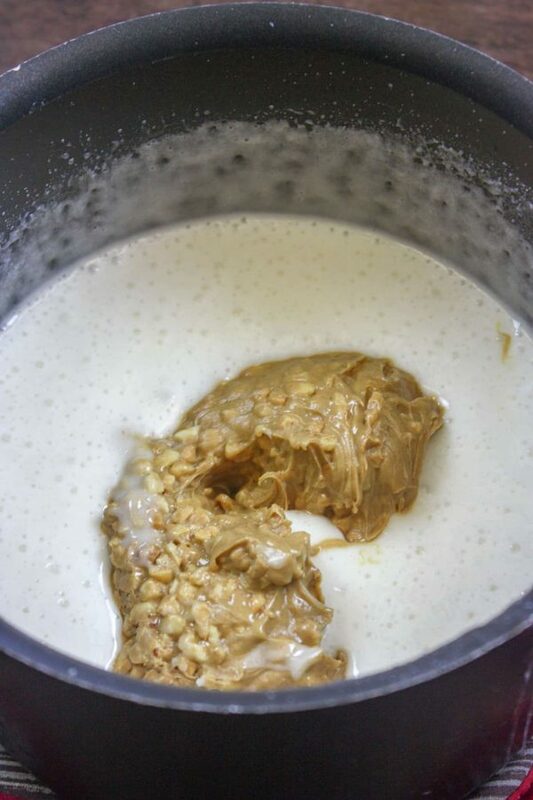 Add the crunchy peanut butter fudge to the saucepan and stir. 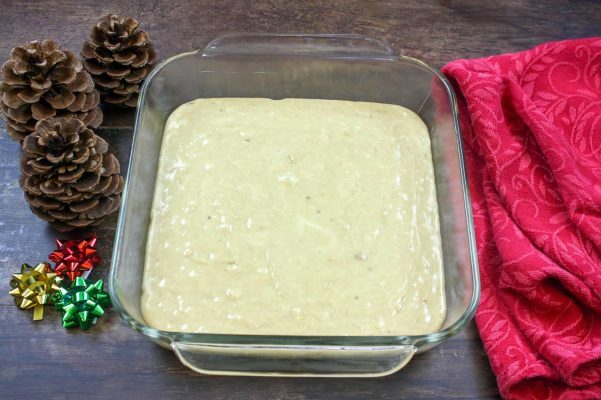 Pour the fudge into a greased 8″ x 8″ casserole dish. Let the fudge set up for a couple of hours. If you’re in a hurry you can put it in the fridge to set up faster. This fudge will still be soft. It doesn’t harden up like typical fudge. Let me tell you, it’s sooooo good. It melts in your mouth. 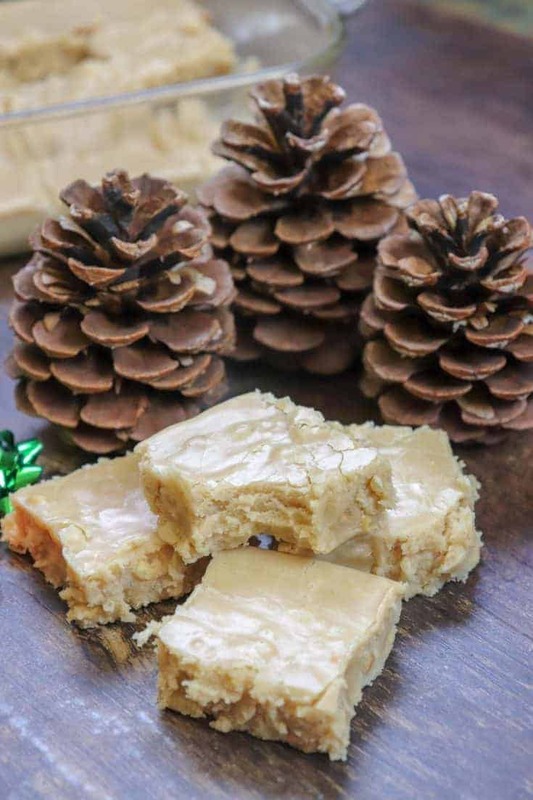 Crunchy Peanut Butter Fudge is a traditional fudge recipe. It's easy to make and pretty addictive. This is one of the best fudge recipes you will find. The peanut butter crunch is surrounded by creamy soft fudge and is sure to be a hit around the holidays or any time of year. 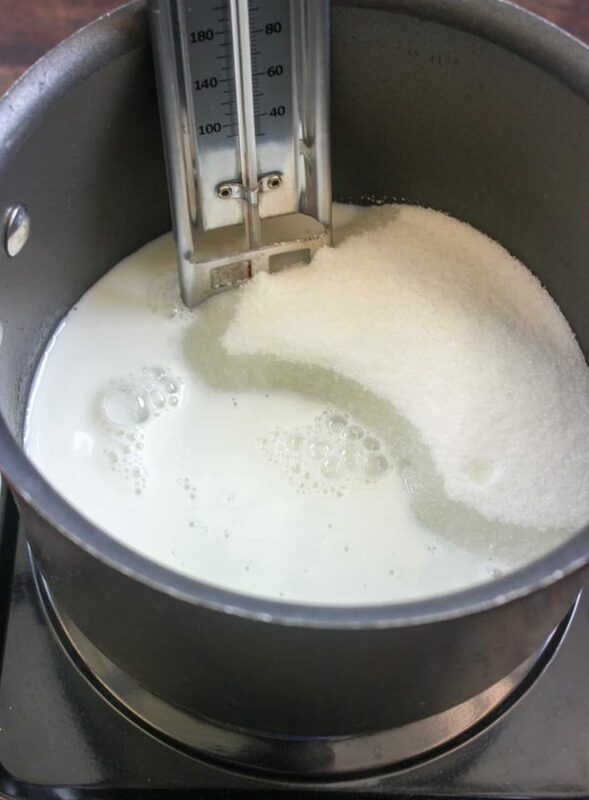 Add the sugar and milk to a saucepan. Bring it to a boil on medium-high heat (turn it down a little if it looks like it's going to boil over). Boil until it reaches 232-degrees. Remove from heat and add the mini marshmallows. Stir until melted. Add the vanilla and crunchy peanut butter. Stir until melted. 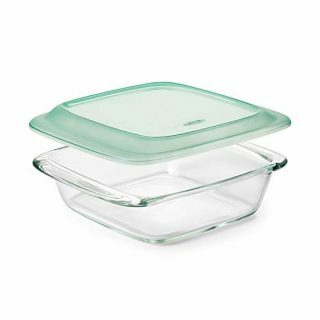 Pour into a greased 8" x 8" casserole dish and allow a couple of hours to set up. Mmmmm this fudge looks AMAZING! 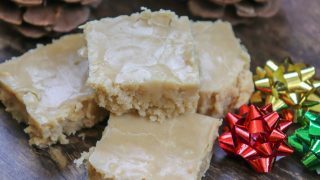 I love peanut butter fudge and nothing beats homemade!! Peanut butter fudge has to be my most favorite. I just love it! 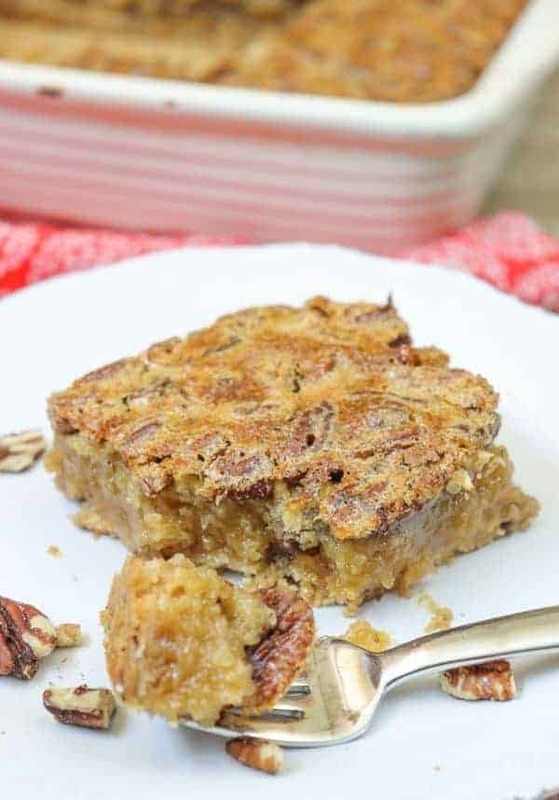 Your recipe has me drooling!! It looks so delicious.